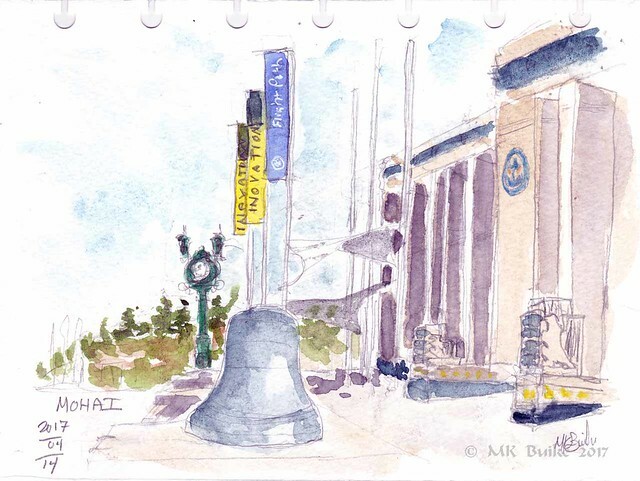 We had unexpectedly good weather for our regular Friday sketch outing. We met at the Museum of History and Industry (MOHAI). Rain was predicted to start about 11, so I did my first sketch out side. While it never did rain, there was rather a cold wind so I was quite chilled by the time I finished. 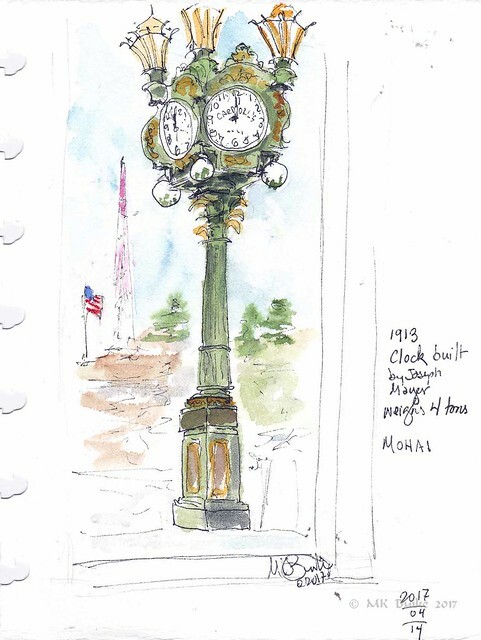 So I had a coffee in the pleasant cafe and sketched the old clock (again). I really like this clock and have sketched it 2 or 3 times before. In December 2009, thieves gutted the clock, presumably stealing the copper and metals inside. A group to which I belong held a fund raiser at the old MOHAI location to help repair the clock. 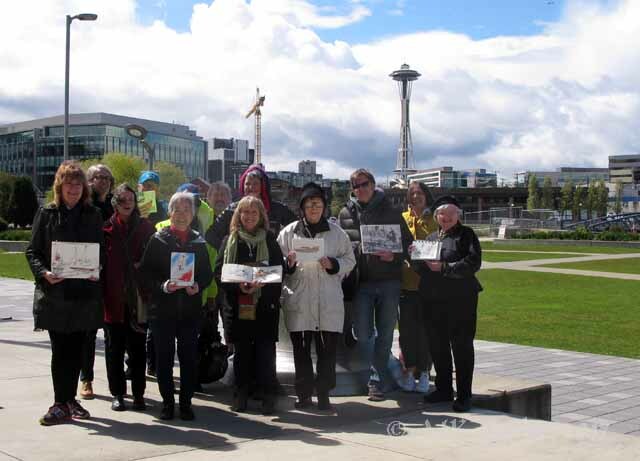 The sketchers posed outside with the Space Needle visible in the distance behind us.